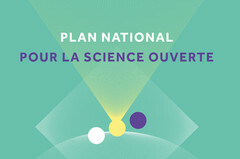 The National Open Science Plan mandates open access for publications and data from french research. The objective is to give free access to public research. It will reduces the complexities in terms of collection, creation, transfer and reuse of scientific material. The ultimate goal is to create a cumulative scientific knowledge with transparent and free-access data and to advance innovation. In addition, a fund for open science will be created, and the online publication plateform HAL will be improved.